We’ve been watching and waiting for Monster to release their entry-level TRON T3 headphones since last November when they were announced. For the sound quality and price the T3’s are an excellent choice for those not needing iPod specific controls or microphone input. We were honestly surprised at how good the treble and bass are for a pair of headphones at this price. If you tend to get your headphones caught on gym equipment, door handles, or anything else that reaches out and grabs your headphone cable it’s important to note that our T3’s rippled and tore somewhat easily, leaving the inner wires exposed. For those wanting the aforementioned iPod/iPhone controls and microphone input and better build quality, we suggest looking at other options. 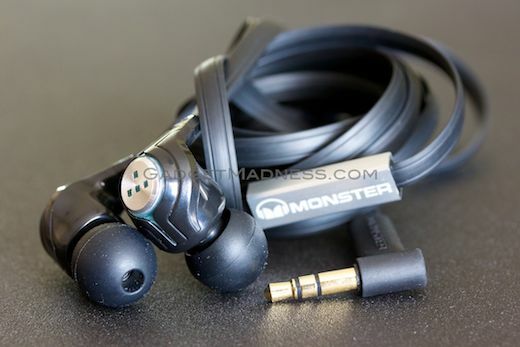 For those not wanting to spend a fortune on a good set of in-ear headphones, look no further.